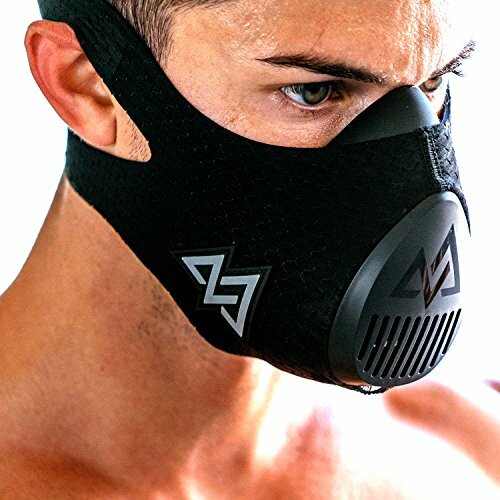 If you’ve been to the gym lately, you’ve probably seen some people working out using those crazy-looking masks that kind of make you look like Bane from Batman. There’s no need to fret. People who use them aren’t necessarily plotting to overthrow the government. And they certainly aren’t using them to protect themselves against a silent plague. These training masks are designed to enhance the results of your workout regimen. Below you will find everything you need to know about these training masks, including some of the best models today. Why Do You Wear a Training Mask? Sure, training masks make you look like a cool supervillain but they can add so more to your workout. These masks are designed to improve inspiratory muscle strength and endurance. Training masks simulate low oxygen conditions much like training at high altitudes where the air is thinner. They cover your mouth and nose to make breathing a bit more laborious than usual. When you’re wearing a mask while exercising, it forces you to take deep breaths to get enough oxygen. This is called restricted-air training. Deep breathing requires more energy, and with each breath, you let more oxygen into your bloodstream. Over time, this exercise should increase the strength as well as the endurance of your respiratory muscles. Breathing exercise devices such as training masks may improve your respiratory muscle strength and endurance. As already mentioned, a mask would reduce the total amount of air you can intake, forcing your lungs to work harder than normal. In turn, the surface area in your alveoli will expand, allowing more space for blood and oxygen. Over time, your lungs and thoracic diaphragm will get used to this type of training. When they become stronger, so will your pulmonary system. At the same time, it becomes more efficient in transporting blood throughout your body. Your training mask can be incorporated into nearly every workout, but you don’t need to wear your gear each time you train. You also don’t need to weaar it for every part of your workout. For instance, research conducted at the London Southbank University and Exeter University suggests that you can work on increasing your sprinting speed by using your mask for half of the workouts you usually do. You can do warm up sets with the mask off. But if you want your respiratory system to get warmed up faster, you may opt to do fewer sets with the mask on. You can start your workout with short distance sprints without the mask, and you can progress to long distance sprints with the mask on. For premium quality, you should get your gear from the company that started this trend and inspired so many others to embrace this workout gear, the Training Mask. Version 3.0 features six air resistant valves. It also has three air resistance valve base pieces that come with flux valve plungers, which enable you to tweak its settings to fit your capabilities and fitness goals. When used properly, this training mask may boost your lung capacity, oxygen efficiency, and physical stamina. It may also improve your anaerobic threshold and energy production. You can purchase custom sleeves that go with the mask if you want to look cool when you’re exercising. You can look like a stormtrooper or Bane or whatever masked character you prefer. Best of all, it’s easy to use and clean. You can take your athletic career to the next level starting by improving your respiratory muscles. You can improve your endurance and boost your performance by training with the WHPH workout mask. Its 16-level resistance valve system is designed to help you breathe more effectively when you’re going through high-intensity physical activities. It has three resistance levels. With its dual lever system, you can easily switch between levels while you’re training. One of the biggest problems with training masks is that the sleeves almost always rip apart after a few sessions. That’s why the WHPH mask now features durable sleeves, one of the best, if not the best, on the market. It also features sweat-wicking technology that keeps you dry and cool throughout your workout. 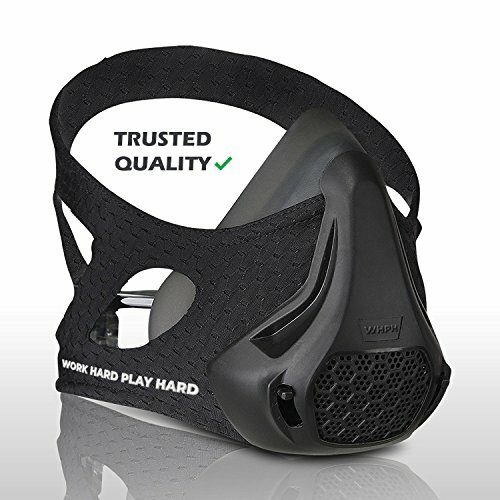 The WHPH training mask is BPA-free. It’s made with medical-grade silicone, which offers excellent comfort and a snug fit. This model is one-size-fits-all. 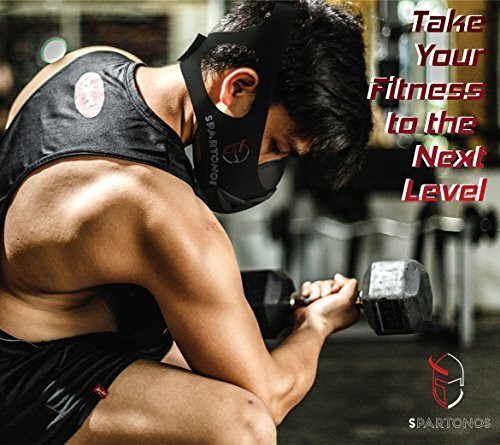 A more affordable option is the Spartonos training mask. It claims to simulate high-altitude environments such as Tibet and the Himalayas. Travelers who want to get used to such high elevations may want to train with this mask prior to the trip. It should improve your lung capacity and even your physical health. It comes with six resistance levels, which you can easily adjust based on the demands of your workout. A lever found at the bottom portion of the mask allows you to switch between levels effortlessly during training. You can take this mask with you when you’re biking cycling, hitting the gym or doing aerobic exercises. Spartonos’ training mask will fit you to a tee. It comes with adjustable straps to ensure maximum comfort. You won’t have to keep adjusting it or holding it in place when you’re in the middle of your exercise. It’s made with soft silicone, making it lightweight, durable, and very easy to clean. Does Wearing a Training Mask Help You Lose Weight? According to a study conducted by the Hermann Buhl Institute for Hypoxia and Sleep Medicine Research, training in hypoxic conditions may help you achieve your weight loss goals faster. In the study, 32 healthy respondents were required to train for three days a week over a period of eight weeks. One group was asked to train in a hypoxic (low oxygen) environment while the other group had to do their workouts in an environment with normal oxygen levels. The participants weren’t required to follow a standardized diet. They were merely told to commit to the training regimen. After two months, researchers found that the group that trained in low-oxygen conditions lost more weight than the group that exercised in normal setups. Do Training/Elevation Masks Really Replicate What It’s Like to Train or Live at High Altitudes? Despite its inability to replicate high altitude training, you shouldn’t discredit its capacity to improve performance. There are studies that prove that training masks can accomplish similar short-term physiological effects to high altitude training. Would You Want to Wear a Training Mask While Training at High Altitudes? No. Without elevation masks, training at high altitudes already makes breathing laborious. When you further limit your oxygen intake in an environment that’s already low in oxygen, your workout is going to suffer. It will also be harder for your body. How Would It Enhance My Workout? There’s not enough evidence to prove or discredit training masks’ capacity to improve your athletic performance. But one thing is certain: you can use a training mask to enhance your breathing mechanics. You can amplify your endurance and strengthen your respiratory muscles based on the needs of your workout. By training yourself to control your breathing in a state of hypoxia, your respiration becomes efficient. You get to boost your workout capacity. Your tolerance for your preferred workout intensity improves. You should also see an improvement in your recovery rate. For these reasons, you may start performing better in a wide range of physical activities such as running and weight lifting. You can achieve all of that without having to spend so much money to train at high altitudes. All you need is a good training mask. 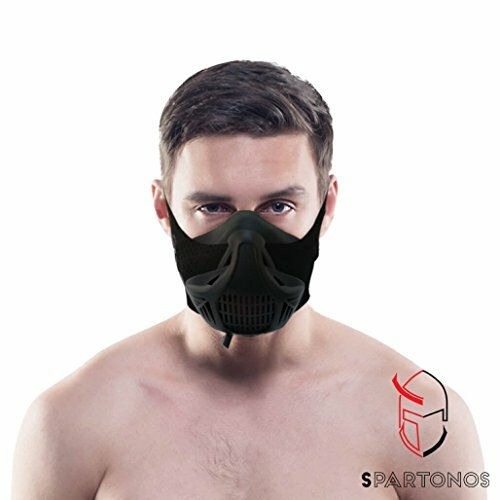 What Workouts/Sports Should I Wear My Training Mask For? 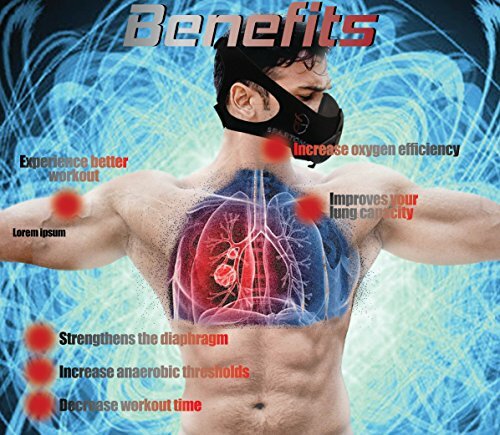 As already mentioned, you can use elevation masks to train for almost every sport, especially ones that rely heavily on your respiratory system. You can use the gear when you’re running, cycling, etc. You may also opt to use training masks when you’re at the gym or at home doing the shuttle run, burpee jumps, shoulder touch pushups, and more.